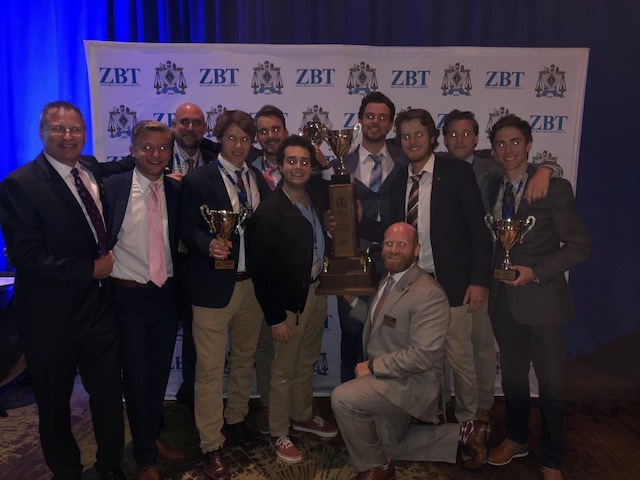 Iota Wins Another Brummer Cup as ZBT’s Best Chapter! On behalf of the advisors and alumni of IOTA chapter we wish to congratulate and thank the past and present leadership of IOTA for bringing home another Brummer Cup. We greatly appreciate your dedication to preserving IOTA as A Powerhouse of Excellence. While we can all pause and enjoy this award we almost must understand that our pursuit of a better brotherhood remains our goal. There is much more we can do to. We look forward to helping you take IOTA to the next level. With the convention in Denver next summer how about a Hat Trick of Brummer’s this decade?